The oven is one of the hardest working appliances in the average kitchen, and it doesn’t take long for the oven to show the need for some serious cleaning. Problem with effective oven cleaning is that it takes lots of time, effort and a decent amount of elbow grease. The time spent in scrubbing and rubbing of hard to reach nooks and crannies inside the oven is a frustrating, even discouraging prospect. Instead, customers can take full advantage of our specialised oven cleaning in Hammersmith and have the oven clean as a whistle without breaking a sweat, or breaking the piggy bank either for that matter. The oven cleaning techniques and products we use are perfectly safe and suitable for all types of conventional, fan forced, gas powered and self-cleaning ovens. There will be no risk of damage or alteration to any of the oven’s interior or exterior protective coatings or appearance and characteristics. Door gaskets, chrome bits, controls and thermo glass – being more delicate oven features, will also be perfectly safe during and after cleaning as we use specially formulated, industry certified products and materials. Our professional oven cleaners Hammersmith is also a safe and ecofriendly alternative as we don’t use any toxic chemicals or harsh cleaning solvents. All of the cleaning products we use will evaporate and dissolve without trace or residue shortly after cleaning. Having said this, for extra peace of mind, we advise customers to heat up the oven to maximum temperature for about five or so minutes before first use after cleaning. 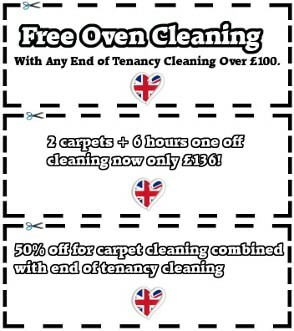 Our Hammersmith oven cleaning service is beneficial on many levels. 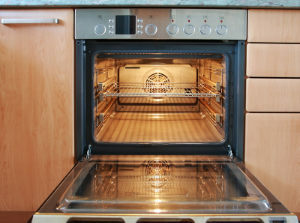 Not many people think of it this way, but a clean oven is a healthy, safe and economical oven, but how does this work? When clean, the oven is working properly and efficiently. With daily use, the accumulation of stale grease, oily fumes etc. inside the oven and especially over heating elements will deteriorate the performance of the appliance, it is practically the same as a couch, where you need an upholstery cleaning every now and then. The oven will take longer to heat up, it will strain to maintain its cooking temperature and overall cost customers more money in electricity bills and cooking time. A clean oven is also a healthy oven as the oily fumes and potent odours leftover from cooking and baking will seep into other dishes cooked and alter their taste and healthy-eating characteristics for the worse. In some more extreme cases, where the oven has been left unattended for long periods of time, the accumulation of stale grease and oil residue can actually become a fire hazard. Don’t risk the property to something so banal, but call us now and secure a professional Hammersmith oven cleaning service with us today. We will not cost customers a small fortune but will deliver professional standard cleaning results on all types of ovens, no matter how dirty or neglected they may be. We also promise short service times and punctual and efficient cleaning done by specially qualified cleaners. The service is available for booking seven days a week, under flexible hours.